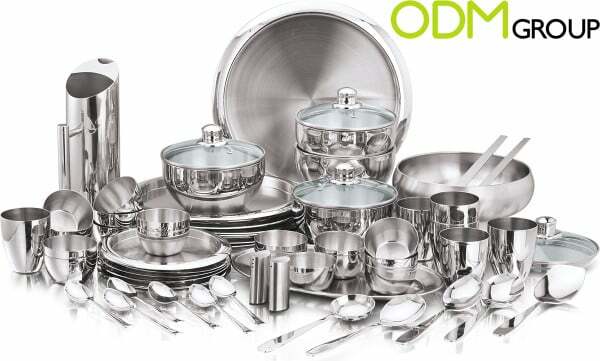 Stainless steel is the material very commonly used in promotional products industry for manufacturing such items as kitchenware, thermo mugs, water bottles, jiggers, bar trays, and many others. So when manufacturing in China, it is useful to be aware of its different classifications and grades. 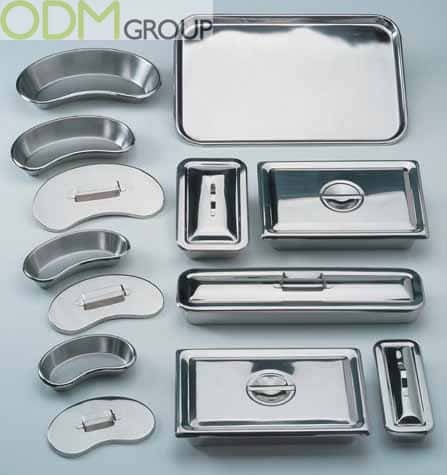 This blog explains which type of China stainless steel to choose to make a product of your desired quality. In metallurgy, stainless steel, also known as inox steel, is a steel alloy containing from 10.5% to 30% chromium by mass. The worldwide consumption of stainless steel is constantly increasing. There is growing demand from the building and construction industry, medical and health equipment companies, automotive and food processing suppliers, and many other industries. There stainless steel is used for its attractive appearance, corrosion resistance, low maintenance and strength. It does not need to be treated, coated or painted when put into service, and does not readily rust or stain with water as ordinary steel does. We have compiled extensive information about stainless steel grades and how they compare with one another. We hope this helps you make an informed decision when selecting stainless steel for your branded item. 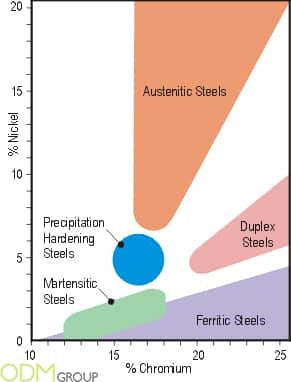 The most commonly specified austenitic stainless steel, accounting for more than 50% of the stainless steel produced in the world. This grade withstands ordinary corrosion in architecture, is durable in typical food processing environments, and resists most chemicals. Type 304 is available in virtually all product forms and finishes. It is immune to foodstuffs, sterilizing solutions, most of the organic chemicals and dyestuffs, and a wide variety of inorganic chemicals. Typical applications: chemical equipment and piping, heat exchanger components, dairy and food handling equipment and utensils, cryogenic vessels and components, architectural and structural applications exposed to non-marine atmospheres. Austenitic stainless steel containing 2%-3% molybdenum (whereas 304 has none). The inclusion of molybdenum gives 316 greater resistance to various forms of deterioration. Properties are similar to those of Type 304 except that this alloy is somewhat stronger at elevated temperatures. Typical applications: exhaust manifolds, furnace parts, heat exchangers, pharmaceutical and photographic equipment, valve and pump trim, chemical equipment, digesters, tanks, evaporators, pulp, paper and textile processing equipment. An austenitic chromium-nickel-manganese stainless steel which was developed to conserve nickel. Type 201 is a lower cost alternative to conventional Cr-Ni stainless steels such as 301 and 304. Nickel is replaced by additions of manganese and nitrogen. It is non-hardenable by thermal treatment, but may be cold worked to high tensile strengths. Typical Applications: cookware, hose clamps, piston rings, transit car structural member, transit car roofing/siding, thermal window spacers, air bag containers, truck trailer posts and door frames. Typical Applications: manifolds exhaust pipes, catalytic converters, mufflers, tail pipes, home heating systems, automotive thermostats and fuel filters, electrical transformer cases, caskets and heat exchanger tubing. The most widely used martensitic stainless steel, featuring the high level of strength conferred by the martensitics. It is a low-cost, heat-treatable grade suitable for non-severe corrosion applications. Typical Applications: flat springs, knives, kitchen utensils and hand tools. The most widely used ferritic stainless steel, offering general-purpose corrosion resistance, resistance to oxidation up to 1500ºF along with good ductility. Typical Applications: decorative roofing and siding applications, ovens, sinks, dishwashers. This alloy is also often polished for cosmetic applications. 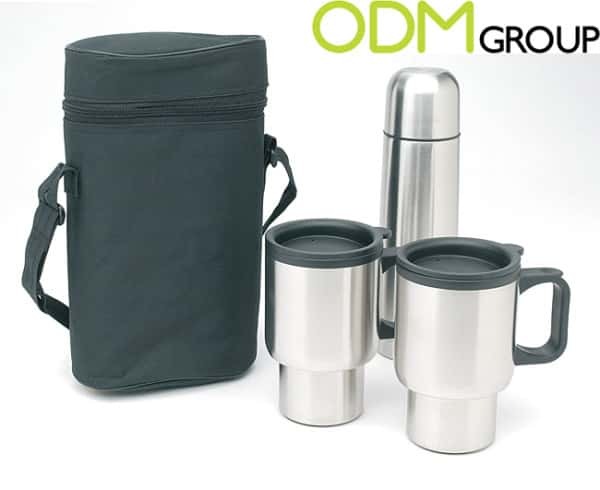 Here at ODM, we have significant experience in product design, sourcing for promotional products and manufacturing in China. Be sure to check out our ever-expanding gift with purchase and in store display portals in order to find some inspirational ideas.